As a trader, you have a choice about whether you want to go the foreign exchange route or the path of binary trading options. Each has their merits and drawbacks. Let’s look at the two choices more succinctly to determine which course you should take. Buying on Forex means that you are predicting the value of foreign currency will go up or decline based on another currency, such as the U.S. dollar. If you guess correctly in either direction, you make a profit. This currency exchange is applied to the commodity in question, such as oil, to determine the price. On Forex, you use a margin as part of your strategy. Each broker sets the maximum margin you can apply. Margins allow you to raise your capital so you can trade more and make a larger profit when your trade is successful. Unfortunately, you can’t be sure what your maximum profit potential is from a trade on Forex. You can list a limit or stop at a certain point so you can get a certain percentage of profit if the limit or stop is executed. Your losses can be managed on Forex the same way your profits are managed. However, the one of the biggest drawbacks of trading on Forex is the fact that your maximum loss could be all your money in your account. With Forex, you choose when to close the position. You can close your position anytime the market is open. The broker is forced to do as you say even if he or she doesn’t agree with you. On Forex, you can produce buy or sell orders, limit orders, stop orders, trailing stop orders, hedge orders and more. This gives you several options when trading. Forex brokers will let you trade in micro lots, or 1,000 units of the base currency in a trade. Each broker sets the maximum trading amount. Some are up to 100 standard lots. As you trade on Forex, you have to think about the spreads and rollover/swap. You also have to know if there are commissions. Forex trading says professionals who know foreign currency trading must be part of the transaction. Only currencies can be traded on Forex and can be traded continually during weekdays. Forex trading has more regulations. Forex is leveraged, which is good and bad. When you buy and sell Binary Options, you have to determine if the price of an investment will go up or go down from its current price over a certain period. 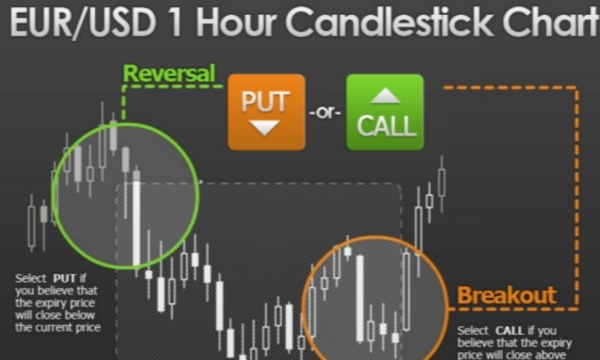 Binary Options is easy to learn even for beginners. This is one of the main reasons more people choose Binary Options. However, you still need some education if you want to be successful in trading. The profits from Binary Options usually fall in the range of 60 percent and 85 percent, which is a little higher than profits from Forex trading. Brokers will offer a refund of a percentage if you incur losses in case of binary options trading. Unfortunately, you have to trade at the designated intervals. You can’t trade any time you want during weekdays. You have more choices with Binary Options besides currencies. You can choose stocks, indices and commodities. Binary Options aren’t regulated, but many are trying to get regulations to protect their clients. They are not leveraged, which, again, is good and bad. You can use margins when you use Binary Options, but you can make a lot of money even without margins. This is another reason Binary Options are so popular. Before you make your move, you will have an idea of the payout and loss return percentage on an option. You have to choose when your option expires before you trade. Your trade closes automatically at that time. Some will allow an early close, but you will receive only a percentage of the expected return. Some also allow rollover, which extends the expiration to the next time. You can choose one of five Binary Options types: High/Low (also referred to as: Call/Put or Up/Down), 60 Seconds Options, Touch/No Touch Options, Boundary Options, and Option Builder. Your Binary Options broker sets the minimum and maximum trading size for clients, from $5 per trade to $5,000 or more. After you look at the different aspects of Forex trading or Binary Options, you can pick the investment that is right for you. Personally, I’ve always been reluctant to invest in binary options because I hate a ‘gamble’. But you could argue that they require you to form an opinion on the market in the same way that regular Forex trades do. Perhaps it’s time to give them a try. For my investment dollars I’ll stick with the “boring” dividend growth stocks and mostly hold long. Binary options seem to be quite popular as new trading platforms are popping up in great numbers. Thank you for commenting.